Na'i Aupuni candidates should not speak for Ka Lāhui Hawai`i, the evolutionary product of years of legal research, community dialogues, meetings and workshops. In recent weeks, individuals running as delegates for Na`i Aupuni have attempted to represent Ka Lāhui Hawai`i. This response was prepared to correct the record and is submitted by the three Kia`āina (governors) elected by Hawaiians statewide and on the U.S. continent. Ka Lāhui Hawai`i is a native initiative for Hawaiian self-governance formed by and for Native Hawaiians without the interference of state or federal agencies. Ka Lāhui Hawai`i is the evolutionary product of years of legal research, community dialogues, meetings, and workshops. We also have engaged in nation building with Native Hawaiians without state and federal government interference. From 1987, we enrolled over 20,000 citizens from our islands and on the U.S. continent, convened three constitutional conventions, held over 35 legislative sessions, conducted four general elections with the assistance of the League of Women Voters, ratified 14 treaties of mutual recognition and friendship with Inuit and Indian Nations, sent diplomatic liaisons to the United Nations, and sent delegations to Washington, D.C., to lobby Congress on behalf of Hawaiian entitlements and programs. In addition, Ka Lāhui Hawai`i has actively testified on issues at the federal, state, county and community levels, published newsletters and other educational materials, and convened numerous community educational meetings on sovereignty and other critical issues facing our community like protecting sacred lands and advocating for water rights. Ka Lāhui Hawai`i has also conducted hundreds of community workshops in Hawaii and on the U.S. continent to exercise our people’s right to self-determination believing in the advancement of our efforts to be self-governing. To build on this long history of self-determination work and in honor of our citizens who have passed away, Ka Lāhui Hawai`i leadership stands in opposition to Na`i Aupuni and the U.S .Department of Interior’s Proposed Rules. The Na’i Aupuni process violates the principle of self-determination as well as the 14th Amendment of the U.S. Constitution. In effect, the process is a political ruse to disenfranchise Hawaiians, deny us our right to our traditional lands, territories and resources and sidestep our historic claims for reparations. Self-determination is not a right of governments or state or federal agencies. It is the collective right of “peoples” including indigenous Hawaiian peoples. 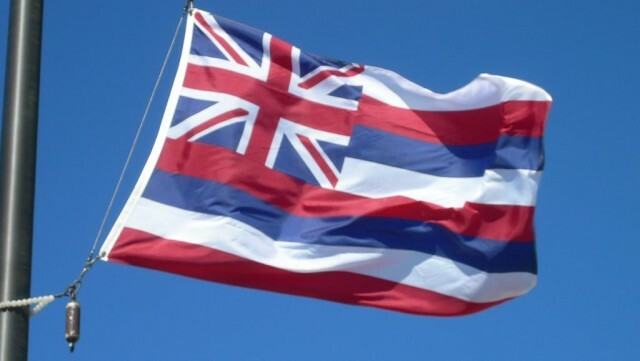 This means that the Hawaiian peoples are the only group that has the power to “define their political status” and ultimately, determine citizenship in a nation of their own creation. Once the people have exercised this power, the nation formed has the right and authority to freely pursue social development through programs for housing, education and health. It has the right to freely pursue cultural development by preserving Hawaiian language, protecting sacred sites and maintaining cultural practices. It also has the power to pursue economic development, including the power to tax, to trade under traditional treaties and to engage in and license others to engage in business in order to raise revenues and be economically self-sufficient. In 1991, the state created the Sovereignty Advisory Council (SAC) in Act 301. As part of the Office of Hawaiian Affairs’ budget, the state provided SAC with up to $200,000 to develop a plan to discuss and study the sovereignty issue. After Ka Lāhui Hawai`i and other community organizations called to boycott the process for nearly two years, a month before the election was to be held, the state amended Act 200 by passing Act 140 in 1996. The new state law specifically changed the requirement that the plebiscite be approved by a majority of “qualified voters” to “ballots cast.” In other words, the state first created a process that required a majority of the approximately 85,000 Native Hawaiians to approve. However, the new law required only a majority of all votes cast in order to approve the plebiscite. On July 15, 1996, HSEC sent out ballots to approximately 85,000 Native Hawaiians. 30,423 ballots were returned, of these ballots, 22,294 voted yes to the question “Shall the Hawaiian People elect delegates to propose a Native Hawaiian government.” Ka Lāhui Hawai`i and other community groups claimed a victory due to the low turnout. However, the state claimed a victory by looking at the majority of the ballots cast. Consequently, this state-initiated process continued with Ha Hawai`i and `Aha Hawai`i `Oiwi. Hawaii’s congressional delegation introduced the first version of the Akaka bill, S. 2899/H.R. 4904 in 2000, authorizing a process for the reorganization of a Native Hawaiian government and to provide for the recognition of the Native Hawaiian government by the United States. This bill had only one hearing in Hawaii in 12 years. Over the next decade, Congress proposed multiple versions of the bill. But the changes and versions that followed were done in Washington, D.C., without the input of the Native Hawaiian people. In stark contrast, the changes reflected input from state agencies like OHA and a select few individuals from the Hawaiian community who continue to push an agenda that excludes the vast majority of Hawaiians from the process. An estimated $30 million in trust money was spent to support passage of the Akaka Bill. No accounting has ever been provided for the Hawaiian trust funds spent on these efforts. The law also required that a qualified Native Hawaiian “has maintained a significant, cultural, social or civic connection to the Native Hawaiian community and wishes to participate in the organization of the Native Hawaiian governing entity; and is eighteen years of age or older.” Funding for the Native Hawaiian Roll Commission was provided by the Office of Hawaiian Affairs while no other community organization was provided money to conduct any kind of educational campaign in opposition to this initiative. To inflate this low enrollment, the state passed Act 77 in 2013 expanding the definition of “qualified Native Hawaiian” to include “an individual who meets the ancestry requirements of Kamehameha Schools or of any Hawaiian registry program of the office of Hawaiian affairs,” immediately swelling the roll to over 107,000 names. It is this roll that Na`i Aupuni is using to conduct its election of delegates to a constitutional convention, or `Aha. At the heart of self-determination is deciding to participate in any process and not have the state determine participation by defining a qualified Native Hawaiian. The U.S. Department of Interior has issued proposed rules to create an administrative procedure for re-establishing a government-to-government relationship with the Native Hawaiian community. These proposed rules follow the Advanced Notice of Proposed Rulemaking issued last year where the vast majority of those who testified at public hearings expressed opposition to the DOI’s proposal. Nevertheless, thousands of identical postcards submitted as part of a concerted effort of political insiders intent on securing federal recognition was used to justify the DOI’s proposed rules. Interestingly, portions of the proposed rule would allow a roll of Native Hawaiians certified by a state of Hawaii commission like Kanaiolowalu that is being used by Na`i Aupuni to determine participation when the large majority of the names on the roll came from different OHA lists and registries without the free prior and informed consent of those who signed on to those prior lists and registries, including one registry that was used to qualify for OHA programs such as loans, grants and scholarships. The record reflects that none of these initiatives came from the Hawaiian “Peoples” and all were in fact created by state and federal bodies. SAC/HSAC/HSEC and the Native Hawaiian Roll Commission/Kanaiolowalu are all state bodies, created by state procedures. The Akaka Bill and the DOI’s proposed rules were drafted in Washington, D.C., without any input from our broader community. None of these groups represents the Hawaiian Peoples. Consequently, these efforts cannot be viewed as legitimate reflections of the Hawaiian people’s desire for nationhood or a valid expression of our peoples right of self-determination. The record further indicates that for years the state and federal government have tried unsuccessfully to manipulate Hawaiians into approving a governmental structure that would limit political power or authority. As a result of this limited power, our people’s vast trust lands and resources would continue to be controlled by the state and federal bodies that control them now. The “recognized” Hawaiian nation will not have any of the powers the “recognized” Indian nations have. It will not have taxing authority, the ability to zone or develop our trust lands for housing, education or health etc. This means that some “recognized” native nations in the U.S. will have rights other “recognized” native nations are not allowed to have — a clear violation of the 14th Amendment. The “recognized” nation will not be able to access federal laws appropriating federal funds for other classes of Native Americans. For example, Hawaiian children removed from Hawaiian families will not have the protections of the Indian Child Welfare Act (the right to be placed with Hawaiian foster homes), etc. Hawaiian trust lands under control of the U.S. and state will continue to be under federal and state control. Wardship will be maintained. Hawaiians will be “beneficiary-wards” of state and federal government and these entities will continue to control our trust resources. The vast majority of Hawaiian people are being disenfranchised by the process. There are approximately 577,000 Hawaiians in the U.S., less than 19,000 have been registered by Kanaiolowalu and thousands have been added to a list without their free prior informed consent and approval. These numbers confirm that the overwhelming majority of Hawaiians are not included in this process. Hawaiians will forever be denied their right of self-governance and self-determination. The DOI memos verify that once the U.S. confers “recognition” on the Na’i Aupuni nation, the US will never again “recognize” a Hawaiian nation. • Support and Sign on to the Kū`ē Na`i Aupuni Petition. Go here to sign on. 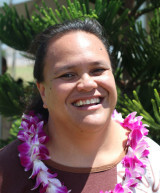 Mililani Bernardette Trask is the first elected Kia`āina of Ka Lāhui Hawai`i, who served from 1990-1998. A longtime leader in the Hawaiian sovereignty movement, Mililani has advocated both in Hawaii and abroad to advance rights on behalf of indigenous peoples and is considered an indigenous expert to the United Nations in international and human rights law. 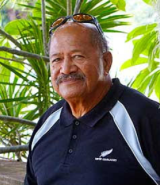 Josiah "Black" Ho`ohuli is the second elected Kia`āina of Ka Lāhui Hawai`i, who served from 1998-2002. A Nanakuli homesteader, Black is a longtime advocate of homestead beneficiaries to enforce the trust responsibilities owed to beneficiaries under state and federal law. Lehua Kinilau-Cano is a native Hawaiian beneficiary and third-generation applicant on the Department of Hawaiian Home Lands Application Waiting List, whose grandfather first submitted an application in 1951. A graduate of Kamehameha Schools, she obtained her B.A. in Hawaiian Studies and J.D. from the University of Hawaii. She is the legislative analyst for the Department of Hawaiian Home Lands, but contributed to this article in her personal capacity.